← Abigail partying in Skibbereen again! The Matchmaker by John B Keane, one of Ireland’s most celebrated writers, will play for one night only at Skibbereen Town Hall on Friday, October 19th, at 8pm. The production stars television favourite Mary McEvoy, best known for her role as Biddy in the long-running RTÉ series, Glenroe. Irish actor and comedian Jon Kenny, who was part of the Irish comic duo d’Unbelievables with Pat Shortt, joins Mary to complete the cast. Kenny is best known outside Ireland for appearing in the Channel 4 sitcom Father Ted. Together, they play myriad characters in this hilarious and earthy dramatic comedy. The play follows the efforts of Dicky Mick Dicky O’Connor to make matches for the lonely and lovelorn. Keane, an avid observer of people and the cultures that bind and create their view of the world, uses The Matchmaker as an exploration of rural loneliness. Aware that generations of people became masters of their own destinies late in life, and only then began to look for companionship and love, once their duties as minder of aging parents were concluded or they had finally inherited, or were the left-over brother or sister. Using his inimitable way with words and his sense of ‘divilment’ and wit, Keane delves into the longings, hungers, fears and foibles of this collection of lonely county people and creates a marvelously-colourful world, taking us back to a simpler time, when phones were few and far between and the only web was one left behind by spiders! The show is directed by Michael Scott. Tickets are available in advance from Thornhill Bros Electrical, Skibbereen, tel 028-22557, and early booking is advised. 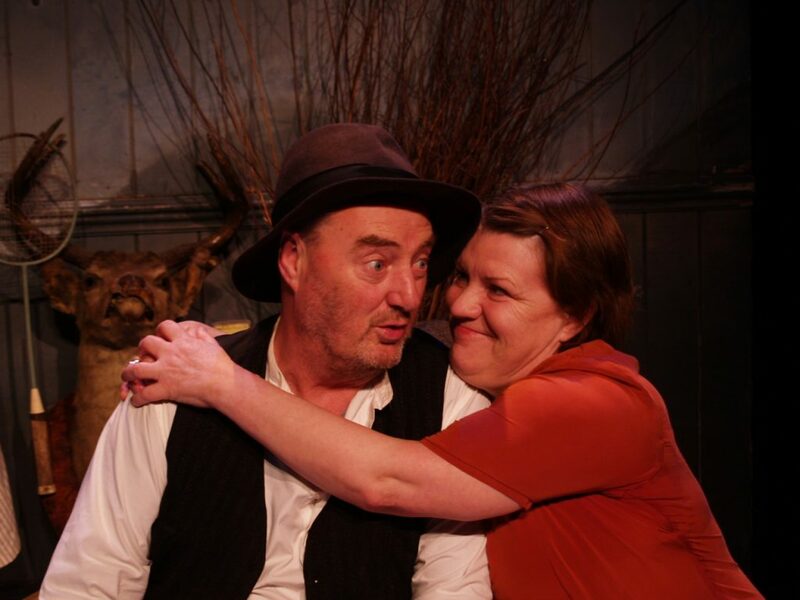 Jon Kenny and Mary McEvoy star in John B Keane’s ‘The Matchmaker’ at Skibbereen Town Hall on Friday, October 19th next.